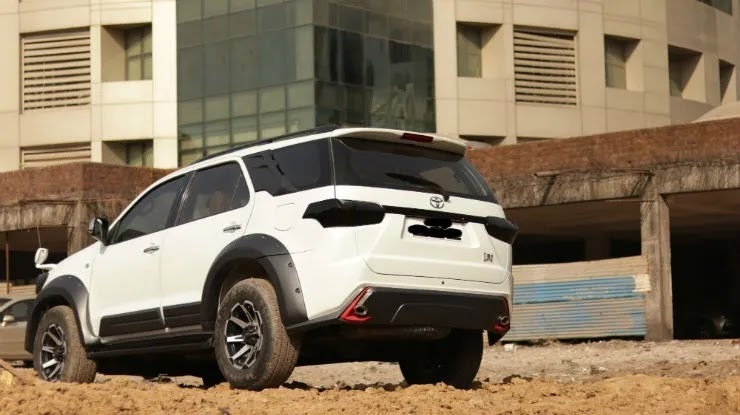 Toyota Fortuner is one of the India's Favorite SUVs. Getting hands on such vehicle and making it more attractive is not everyones job. 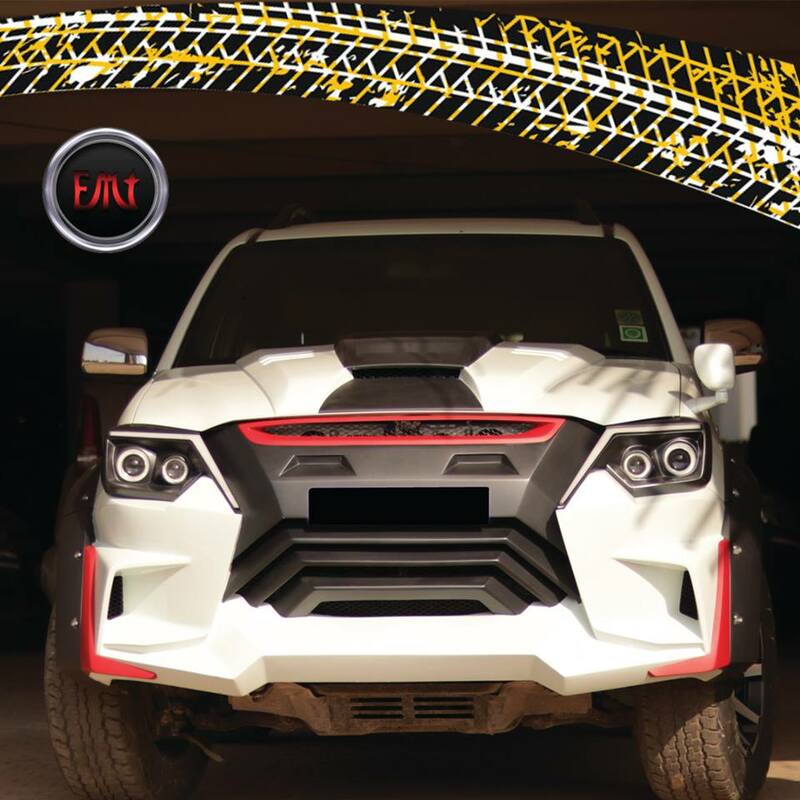 Executive Modcar Trendz have awesomely modified this Fortuner. Their modification includes the body panels on the front and side of car. They have used custom grille, new headlights with projector and LED DRLs, bonnet with scoops on it. The massive front makes the car more muscular and edgy. On sides the EMT used wheel arches for the covering the wide profile tyres. Also aftermarket alloy wheels are used. At rear they have used smoked Lamps with blacked out chrome strip on middle. Aftermarket bumper with integrated exhaust on both sides. EMT has removed all the chrome parts. Chrome only remains on Handles and ORVMs. 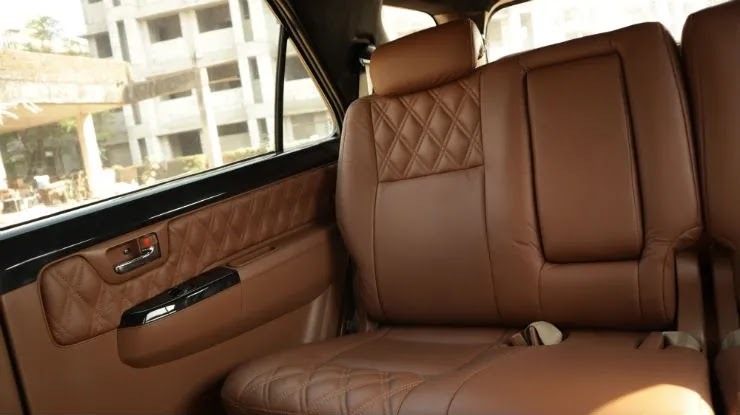 In interiors seats got diamond pattern leather covers. 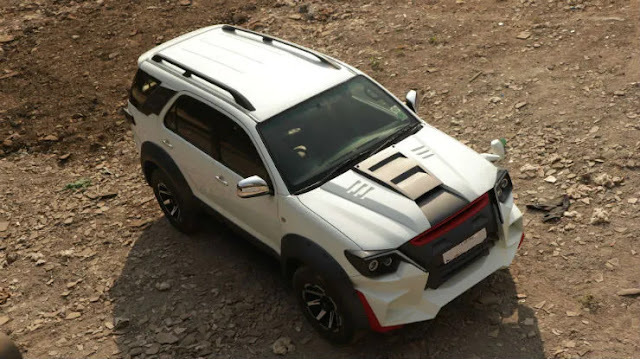 The cost of this modification is INR 4.5 lakh excluding 18% GST.